Image has been converted to black and white. Color version is available.) 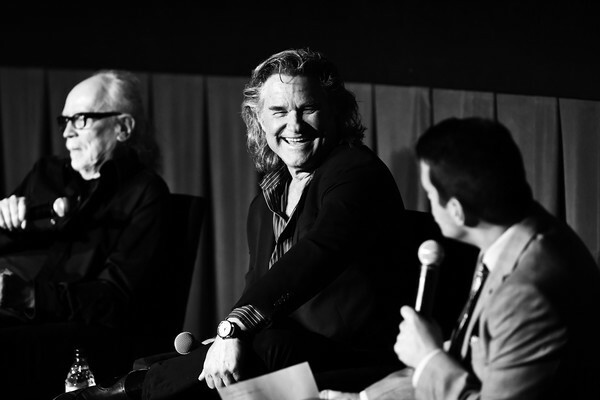 (L-R) Special Guests John Carpenter, Kurt Russell, and TCM Host Dave Karger speak onstage at the screening of 'Escape from New York' at the 2019 TCM 10th Annual Classic Film Festival on April 13, 2019 in Hollywood, California.